PRC and the Board of Mechanical Engineering are joined force to conduct the Mechanical Engineer Board Exam on September 2015. The Top 10 passers of the said examination are posted below. PRC also said that the date and venue for the oathtaking ceremony of the new successful examinees in the said examinations WILL BE ANNOUNCED LATER. 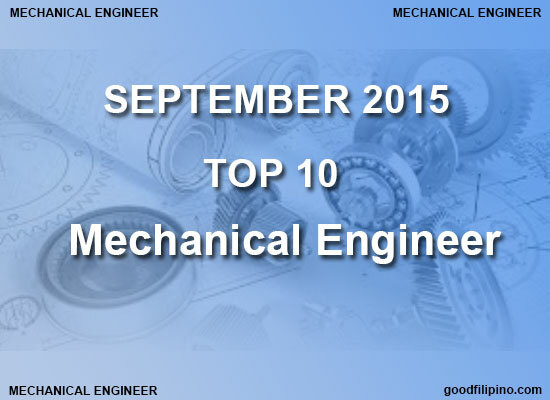 Comments or suggestions about "Top 10 Mechanical Engineer Board Exam Results (September 2015)" is important to us, you may share it by using the comment box below.